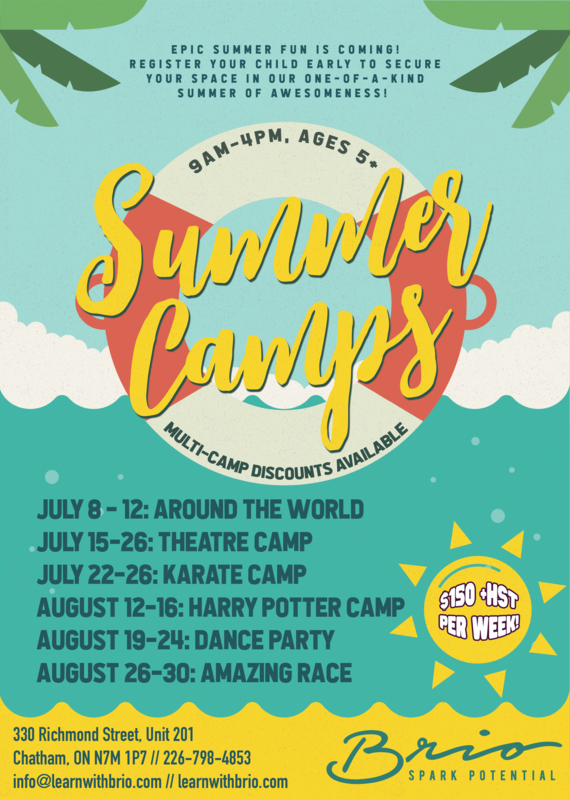 Our 2019 summer camps are here, and we’re ready for an even bigger, better summer of fun, activity, creativity and awesome memories! 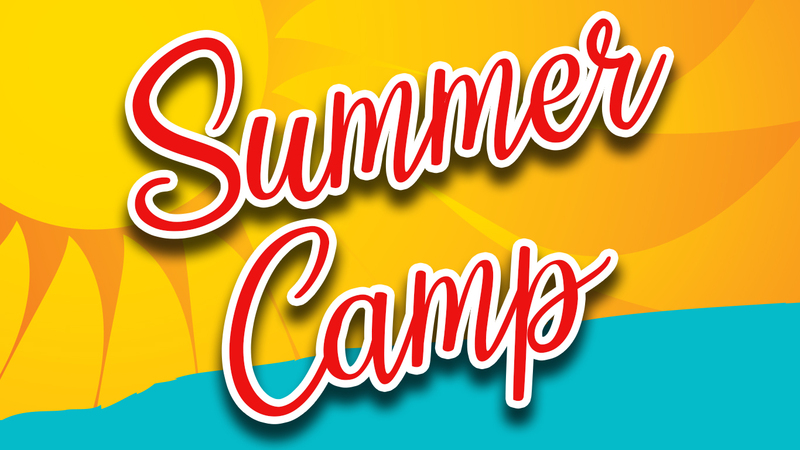 Camps run from 9-4 every day, with late pick-up/drop-off options available. 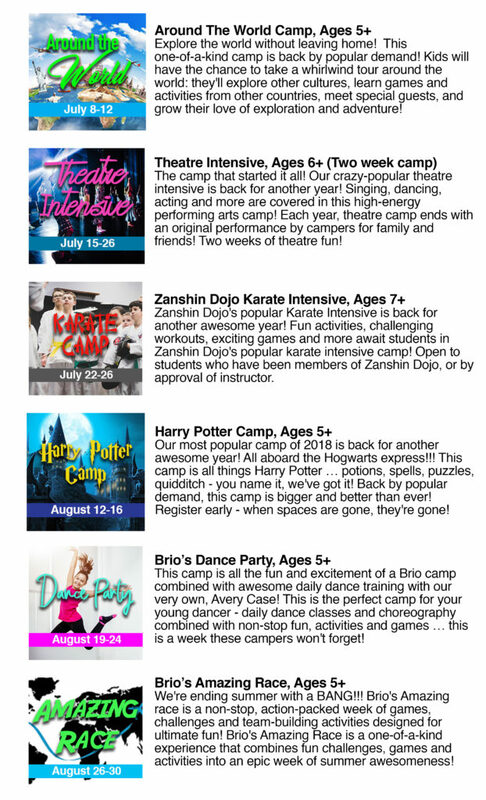 Multi-camp discounts are available for kids who just can’t get enough of Brio’s unique brand of summer fun! We’re excited to announce the camp staff for the season – they are: Jenna Spence, Becca Woods and Avery Case! This awesome team has all the tools required to make this summer unforgettable for our campers! Our popular summer camps are totally unique, and designed to encourage growth and development in our campers. Our experienced camp leaders are gearing up for a full summer of one-of-a-kind camps for kid in the CK area. All of our summer camps include plenty of outdoor time, games, crafts and themed activities designed to spark your child’s potential. Get ready for a summer of unforgettable fun! Try one camp, or try them all! Each week at Brio is full of totally unique opportunities for students to explore, create, develop friendships, and build lasting memories. Our camps are created by experienced educators to maximize fun and learning in a safe, nurturing environment! All camps are $150+HST per week. Ages 5+ unless otherwise stated. Multi-camp discounts available. Ready to register for Brio’s awesome summer experience? Unique, engaging and enriching – our camps offer our students the opportunity to grow in ability and confidence. Spark your child’s potential. Register today!